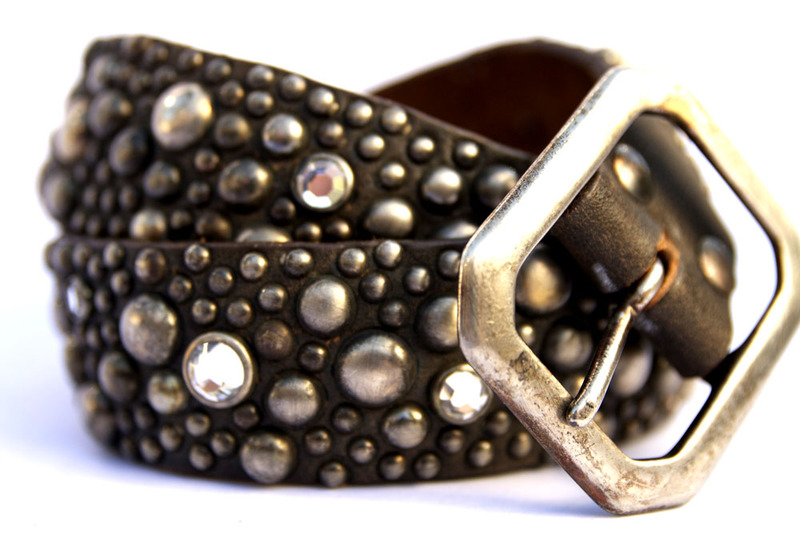 Handmade and Studded belt from Old Stud Handmade. 1 3/4" wide. 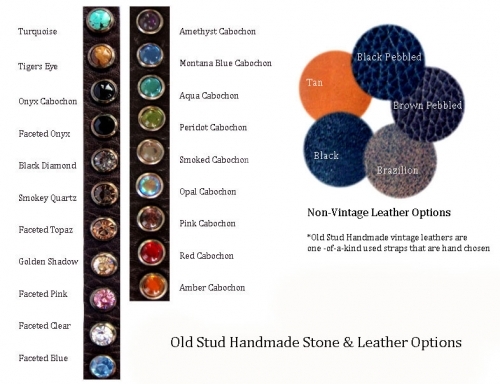 Shown in Black leather with Faceted Clear crystals.